The Sahyadris which have been geologically blessed with Massive Mountains & Jagged Pinnacles are the home turf for the adrenaline junkies. For thrill seekers lacking the technical capability of getting onto the Summit of such a Pinnacle is a dream long cherished. Join Canvas N Chrome as we pump up the Adrenaline Levels & Take you on an adventure that is a cut above the rest. We give you the opportunity to experience the beautiful sunrise from a magnificent fort from the yesteryear's & the Sense of Achievement of being atop a difficult to summit pinnacle. 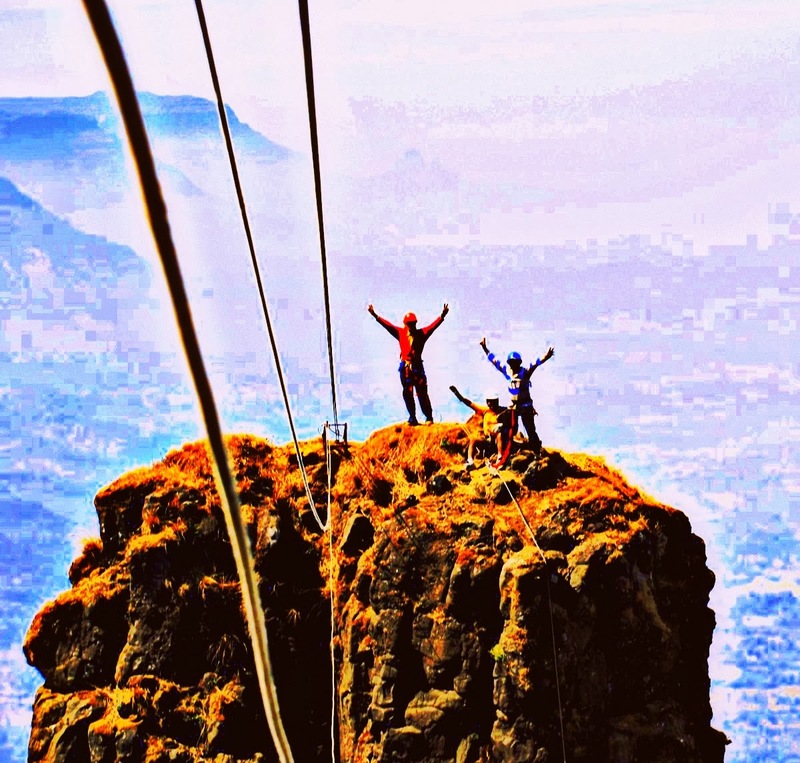 > 330 feet Thrilling Rappelling from Khadaparsi to the Base of Jivdhan fort. > Guided Tour of Naneghat & Nana cha Anghta. Post Activity, Lunch & sightseeing of Naneghat. * * * Early Bird & Group Discounts available! So Hurry & Grab your opportunity to be on the Vantage point atop the Khadaparsi pinnacle. Note: The transportation cost has not been added to the event cost to facilitate the flexibility of people joining us from Mumbai, Pune, & other cities close by. There would however be a vehicle arranged for traveling & the cost of the same (Rs.500-600/-) will be shared at actual between our guests who choose to join. Guests who want to explore the self-drive option are also most welcome. I went for this trip in Feb 2014.
but I havent found any Adventure Group like the Backpacks!